If you have a flair for the over dramatic then you will feel right at home with Remedy’s action thriller that was recently featured in our vaporware podcast. So little was known about what to expect from Alan Wake that when everyone finally got their hands on it there was this mixed sense of familiarity with the type of game it was, coupled with intrigue to the way it handled being a video game. At its core Alan Wake is nothing more than a third person shooter with a so-so dodge mechanic where you use a combination of light and gunfire to absolve a haunted world of enemies. If that were all the game had to offer, you wouldn’t be reading this review. 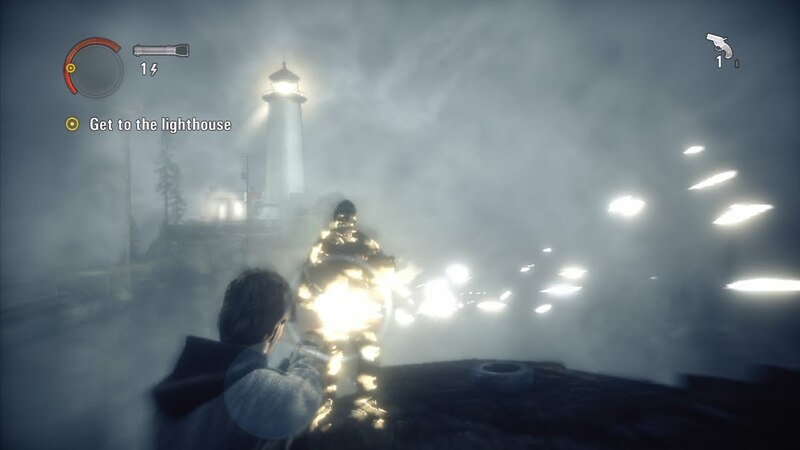 No, the soul of Alan Wake is the unique storytelling style that merges metaphysical realities with an unreliable protagonist and keeps you guessing over the course of the game. While Deadly Premonition ticked all the boxes to look and act like Twin Peaks, Alan Wake uses a more subtle approach to feel like Twin Peaks. It’s much closer to being a Max Payne game than the studio would care to admit – I wouldn’t be surprised if it started life as that – but much like those original titles its barrage of enemy encounters are just varied enough that the gameplay never gets tiresome. Barring that, there’s a larger layer of tone and aesthetic that work together to transform the world of Alan Wake from being more than just a simple video game, it’s an entertainment production. Your first episode in the game is Alan and his wife arriving in Bright Falls, simple as that. It’s daytime, everyone is nice, everything is peaceful, and with the bright lights and vivid scenery there’s little pause as to what danger may be lurking. 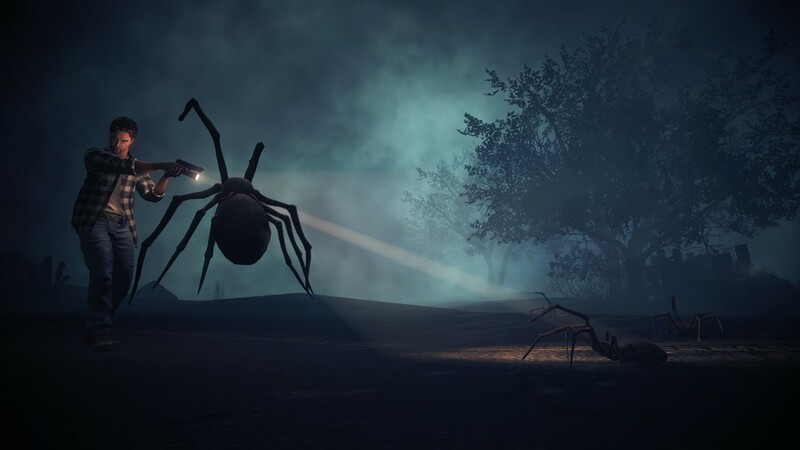 If you were fortunate enough to know nothing more about the plot, you might not even know this game is slated as a thriller or horror game above everything else, so when it takes a drastic turn you’re caught off guard. I referred to the game as an “entertainment production”, which trust me is not an attempt to oversell it. What I mean by that is this game is trying to blend media at an aggregate rate: the storytelling is that of a book, character development of the cast has an arc like a movie, the level progression is separated by “episodes” that even feature a “previously on” like television, each episode ends with credits and an official song that together make up a soundtrack well worth the extra money I paid for, and your traditional linear action gameplay well represents a video game. 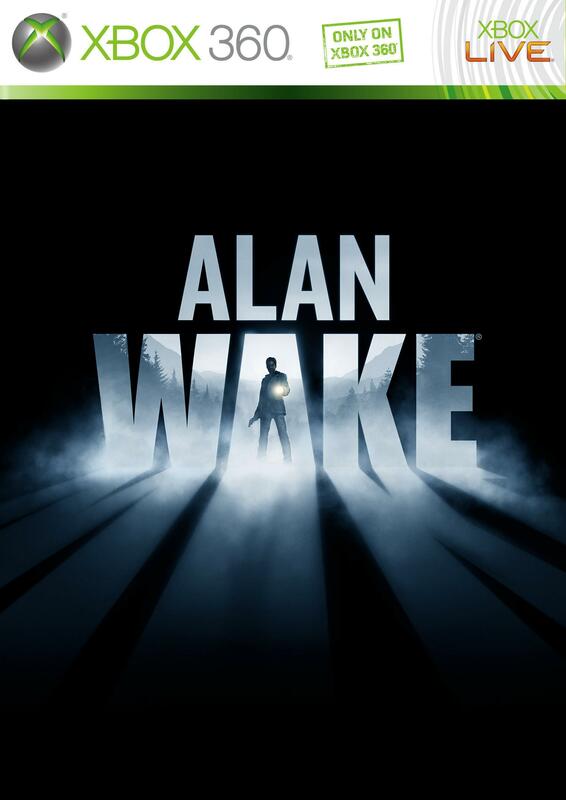 If you’re keeping track that means Alan Wake has hints of a book, movie, television show, audio album, and video game; something I felt could only be described as an entertainment production. It works, too, which is what I never expected. Keep in mind this is still a video game through and through, so no matter how good the graphics are, how well the storytelling subtly foreshadows or develops, and how great the soundtrack is, you still spend a majority of your time playing a video game. That video game, while doing nothing really new, had the right mix of level design and encounter variety to keep me wanting to come back. If you look at a barebones list of what happens in the game or view a handful of random clips taken from it, I can see how you would deduce that everything is the same as everything else, which is probably true. Even the collectible pages come together to give more depth to events happening, it’s all part of the plan; well, except for those Twin Peak-esque thermoses that have no value to the game whatsoever, those should go. It’s perhaps that fact as to why the game delves so deeply into other media and styles for its soul that it took so long to come out and tweak just right. Whatever the reason, it’s a solid mix that fascinated me back then and continues to amuse me now. Without giving away any spoilers I can just say that Alan Wake is a full experience that will have you on edge from the creepy beginning to the frantic ending. 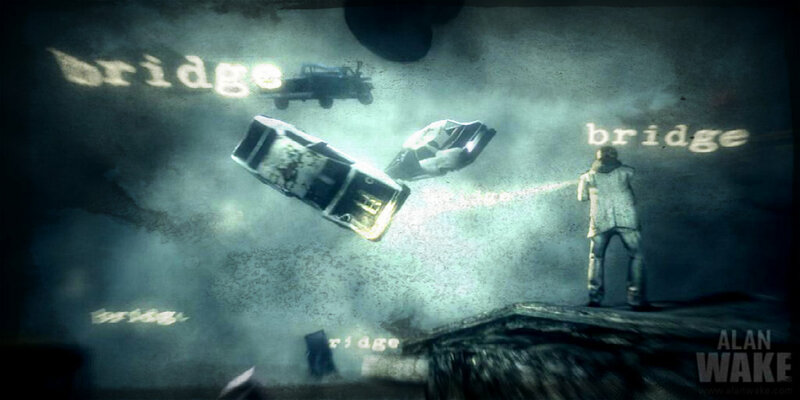 At the time of its release, Alan Wake didn’t quite feel finished once you beat the game. Some of the game’s stronger plot points get reconciled, but there’s no question that the most key concept was missing in action. This all eventually wrapped up in two supplemental episodes: The Signal and The Writer. While these episodes take a lot of time to wrap up a relatively basic concept, the gameplay of each drastically switches up the nature of how you had played the rest of the game. This is why I feel that the story was already complete in an earlier version of the game, but they had no good way to integrate DLC with more of a story unless they just stripped the end of the story out of the main game and used it for the plot points of the extra episodes. I only say this because the gameplay either gets harder or has you using styles or concepts absent from the main game that while the plot feels like it was stripped from the core product, the gameplay feels anything but. If you grab this game on PC, both extra episodes are integrated into the game and you enter into them after beating the main story, but if you grab this on Xbox 360 (disc or digital) you will want to plunk down the extra money for this DLC because the game and plot won’t feel complete without them. Kind of a cheap tactic if you ask me, but it’s a worthwhile amount of content for the price that I’m willing to let it go. This download-only title released in 2012 around the time of the PC port for both PC and Xbox 360 that serves as a spin-off tale of the original. You can ditch everything you know about the plot, the characters, and to a certain extent even the gameplay rules of the original because despite being a shorter experience, American Nightmare is its own game. 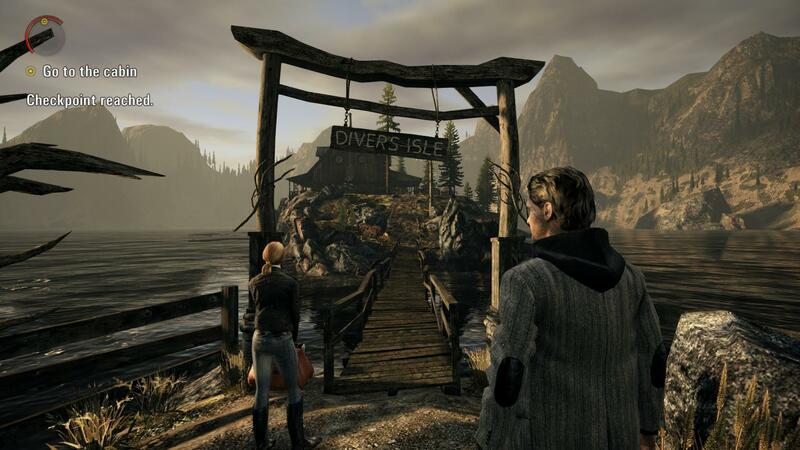 Remedy replaces the isolated New England town of Bright Falls with the isolated and desolate environment of a roadside town in the Nevada desert. 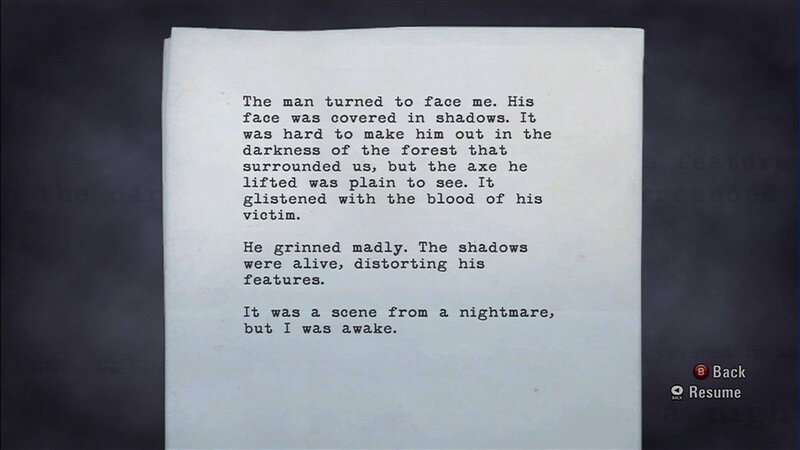 If Alan Wake was Twin Peaks, American Nightmare is most definitely Stephen King. All of the different things I loved about the experience of Alan Wake‘s multimedia experience make a return, but that’s about the only thing that carries over. Whereas the original game was about a somewhat familiar setting that involved characters you didn’t know, American Nightmare takes a character and circumstance you are intimately familiar with and gives you a setting you don’t know. This one isn’t just shadow people, it contains larger than life creatures, foreboding abandoned warehouses, and even monsters from other worlds. They flip the unreliable protagonist nature of Alan Wake once again, but in a new way. I also have to commend the use of the model for Alan Wake in now real full motion video for a lot of the cutscenes, which makes it all feel more “real” while the events continue to be more “surreal”. It ends a bit too quickly, but I get the feeling Remedy was ready to put Alan Wake to rest for a while by the end. If you decide to delve down the delightful rabbit hole that is Alan Wake, provided that you get intrigued by all of the unique things it does, you are in for a treat. By the time I was half way through the first game I wanted (and purchased) the book, the soundtrack, and watched the Bright Falls mini-series that should still be available on the Zune Marketplace video store for free. I wanted to become immersed in Alan Wake. Returning to the game after a few years had passed and now for this third time I am pleased to say that it’s all familiar but still delightful. It’s still a video game and you will find yourself having moments that come with any sort of challenge or annoyance that accompanies all video games, but it’s also unique enough that you will be glad you came. Did I mention that the fantastic soundtrack that includes the likes of Poe and Roy Orbison blew my mind when I heard them return for this game? When we look back at the wonderful games that defined the first HD generation of consoles, Alan Wake is going to be one of those fine examples that sadly seems to be locked in time and doomed to never return.